Africa’s oldest national park could be worth US$1.1 billion per year if developed sustainably, rather than being given over to potentially-damaging oil extraction, a report released by WWF today has found. 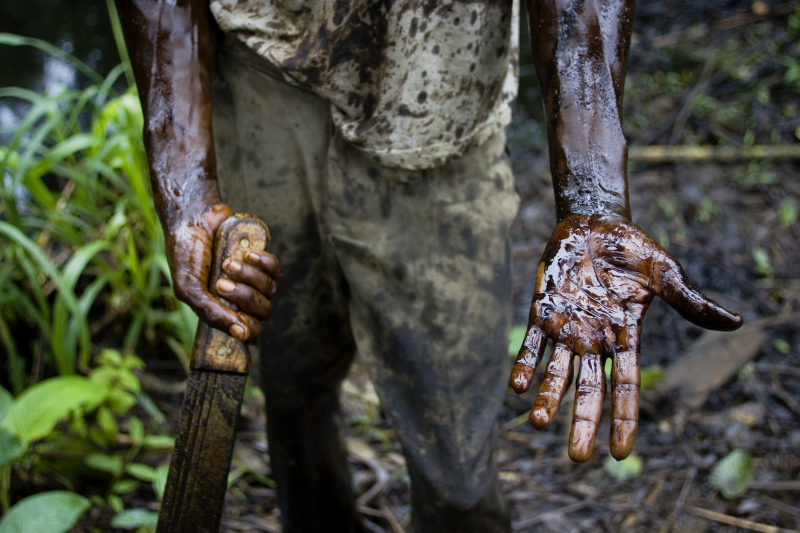 In June, the UNESCO World Heritage Committee called for the cancelation of all Virunga oil permits and appealed to concession holders Total SA and Soco International PLC not to undertake exploration in World Heritage Sites. 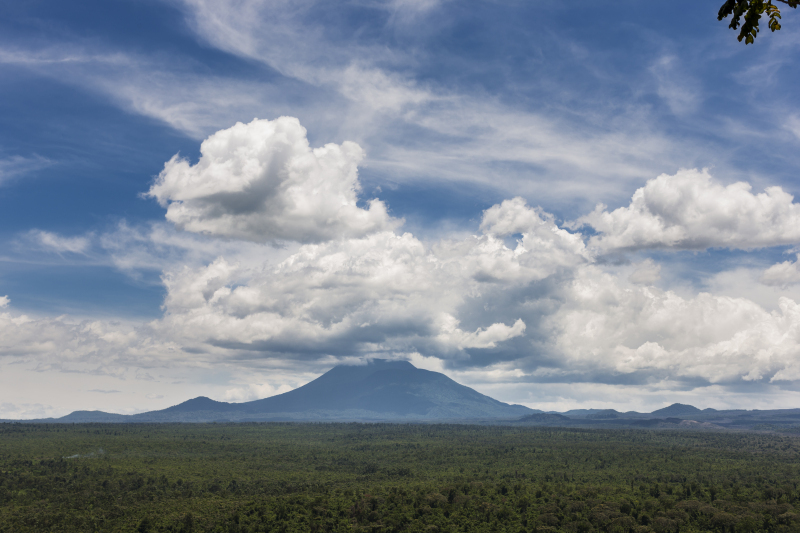 Total has committed to respecting Virunga’s current boundary, leaving UK-based Soco as the only oil company with plans to explore inside the park. 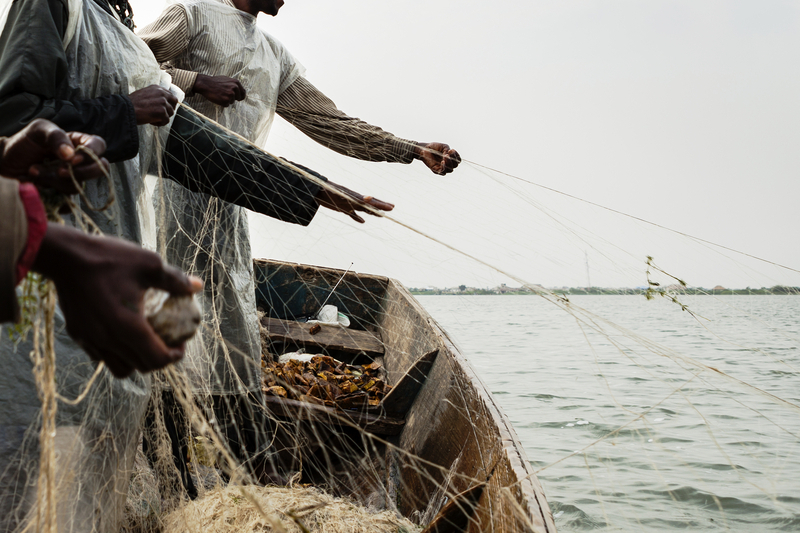 Environmental impacts from oil extraction could threaten Virunga’s freshwater ecosystems, rich forests and rare wildlife, the study found. The park is home to over 3,000 different kinds of animals, including critically endangered mountain gorillas. Virunga National Park is the oldest national park in Africa and a World Heritage Site. A total of 85% of the park has been allocated as oil concessions. Take action now! Draw the line with us! 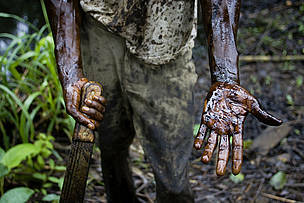 Worker in the Niger Delta cleans up an oil spill.